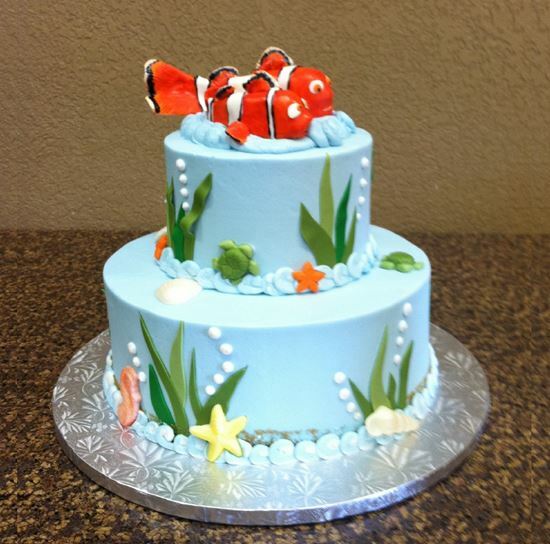 3 Tier cake with 6" and 9" round tiers decorated with an Under the Sea Theme. Toy Fish not included. Serves 20 - 30 slices.